All natural species and naturally occuring forms are included in this group. 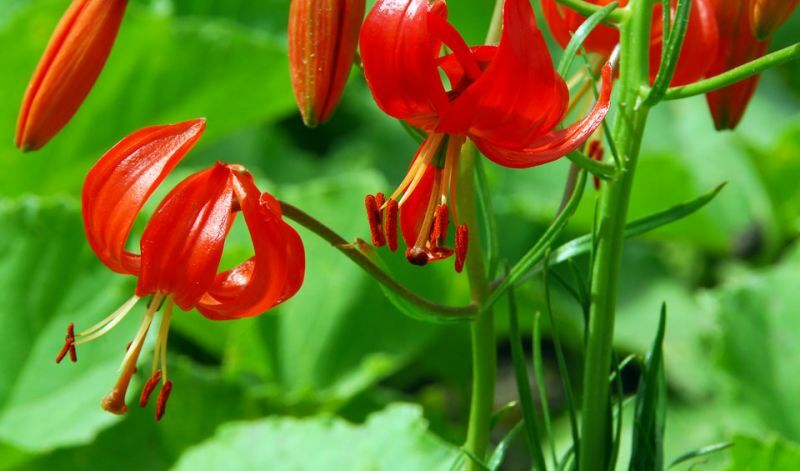 It is from these wild lilies that breeders have created their magnificant hybrids for our gardens. 'L. nepalense' (cream & dark purple), 'L. pardalinum' (orange-red), 'L. pumilum/tenuifolium' (red), 'L. speciosum Rubrum' (white & pink) and 'L. speciosum Scarlet Delight' (red).